Dishaw Guitars is proud to announce Kyle Bolden as our newest player representative. Kyle "Golden" Bolden is from Memphis Tenn and presently resides in Los Angeles. Kyle attended Overton Performing Arts High School in Memphis, Tn. It was his tenure with the Overton Jazz Band that allowed Kyle to expand his musical vocabulary. During those years, Kyle began to make a name for himself by playing around the city in various clubs. After graduating high school, Kyle received a full music scholarship to the University of Memphis. 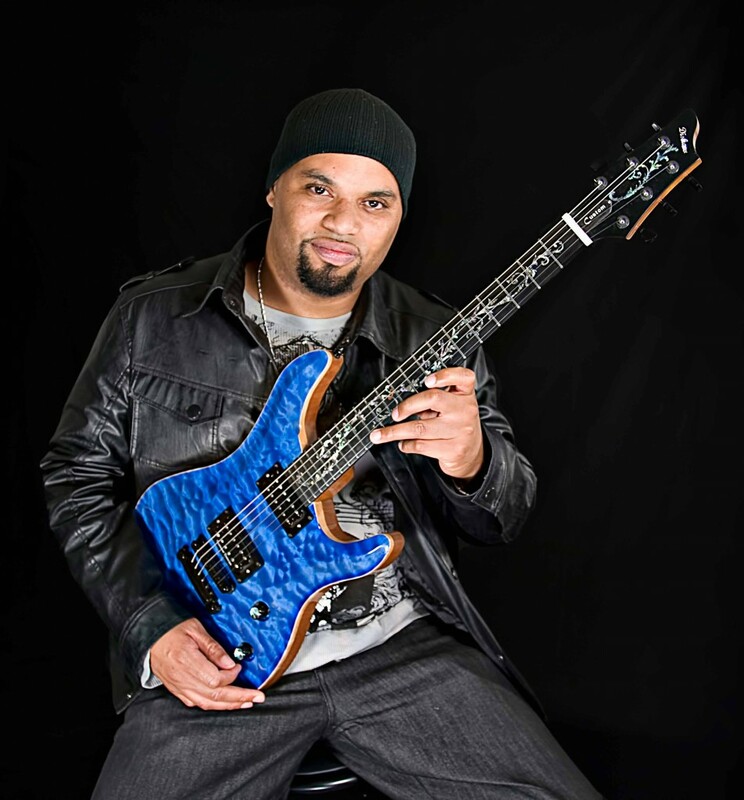 Kyle is currently touring with the Stevie Wonder Band and his LA based band, New Genesis, is a major player in the LA music scene with scheduled dates in a variety of clubs in the LA area. 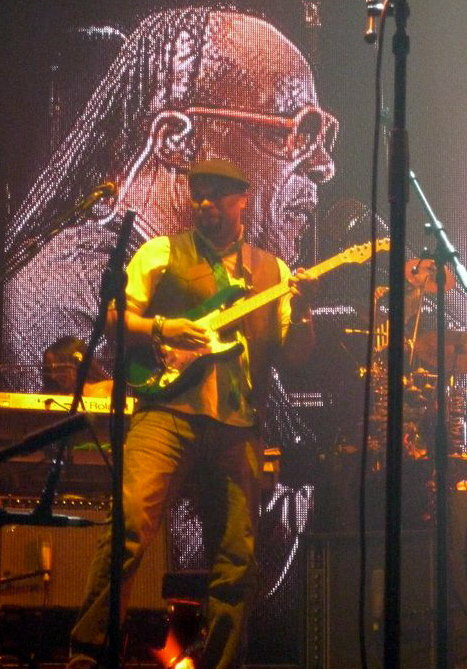 In addition to touring with Stevie Wonder his accomplishments include tour dates and studio sessions with the likes of music icons such as Chrisette Michele, Musiq Soulchild, Keith Robinson from Dreamgirls, Bobby Brown, El Debarge, The Callaway Brothers from Midnight Star, Jakiem Joyner, Ollie Woodson, Yolanda Adams, Keyshia Cole, William Bell, Glenn Jones, Willie Hutch, Kirk Whalum, Phil Perry, Silk, India Arie, DJ Paul and Juicy J, Yo Gotti, Frayser Boy, Lil Wyte, Isaac Hayes, Jermaine Jackson, Prince, the list goes on and on. Kyle is in high demand as a studio session player and he is a major player in the LA music scene. 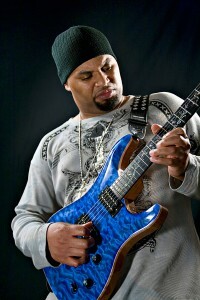 Kyle is also credited with playing guitar on the Oscar Winning Song "Hard Out Here For a Pimp" from the movie Hustle and Flow. Check him out on Hustle & Flow's behind the scenes footage. Kyle is the real deal with such heart and soul in his style, he just has it, he is all over it. We will be building Kyle is own signature series guitars with a tremolo and personalized pickup configuration. Special thanks to my friend Tim Boehlert for making this possible. Congrats Kyle…..told you that you’re amazing!